Jeffrey: Welcome to anther edition of YPN News. 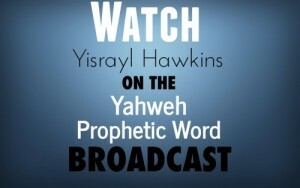 Bringing you news that relates to Bible Prophecy and foretold by Yisrayl Hawkins. Well in the news this week famines and those who are suffering the most from them. Also farmers are having a hard time putting food on the table for themselves. We have these stories and also an interesting interview from a former Secretary of Defense, but first how about a different perspective? Jeffrey: Every February 14th is National Donor Day. The goal is to raise awareness of the benefits of organ, eye and tissue donation. Nearly 120,000 Americans are on the national transplant waiting list, but in China, where the population is almost 1.4 billion there is a severe shortage of organ donors. So science is taking it up to the next level. Caton: Chinese scientists are attempting to restore peoples’ sight using breakthrough technology. However the eyes they are using, are not from humans, they come from pigs. Jon Cong Shau (Zhengkang Shao) is the CEO of China Regenerative Medicine International, the company that’s pioneering the procedure to make pig cornea’s suitable, they say, for human transplant. Jeffrey Mr. Shao told CBS news, after exploring many different animal options they concluded that the “pig’s cornea is very similar to the human” cornea. The Chinese traditionally believe bodies should be left intact upon death, so organ donation is rare in the country. With 4 million Chinese suffering from Cornea Disease though, the demand far out weights the supply when it comes to human eyes. Caton: Now some surgeons are dealing in swine daily. But they are not always telling their patients the source of the eyes they will be using. One Dr. Way Oon Shu, told CBS News, “We don’t usually say it’s from a pig, we say it’s an engineered product.” He claimed if they told people the eye was from a pig, some would refuse it while others wouldn’t care as long as they could see again. Caton: It is believed that 600,000 civilians live in the western part of the city alone. With the Islamic State blocking off escape routes and the government’s troops literally bringing the terrorist under siege, civilians are left in an even more desperate situation. Already basic needs such as food and water have been reported to be scarce by those who have actually managed to escape. Jeffrey: With wars taking place around the globe, we already face the ever growing danger of a nuclear war daily. But a recent report from a nuclear watch dog has uncovered, we’ve come closer to a nuclear disaster more times than we care to count and it has already cost over a hundred lives in one country alone. The non-profit organization, Nuclear Information Service, released records from the UK revealing over 100 nuclear alerts have been covered up in the country. Caton: Official records do not raise the level of concern that this new report exposes. As a result the report shows that 116 deaths have occurred to British nuclear workers. Breaking it down a little, there have been 7 industrial accidents, 9 suspected radiological contamination incidents and there were 100 fatal cancers, as a result of the 1957 Windscale Reactor fire. Jeffrey: Some of the incidents are quite unsettling. For instance, the Royal Navy accidently took nuclear depth charges with them to the Falkand War in 1982. This was aboard the ship which Prince Andrew was serving on. Then in 1987 the defense ministry imposed an information black-out when four nuclear bombs went sliding off a truck into a ditch, in Southern England. Caton: The report gets worse in 2009 when British and French submarines nearly collided in the Atlantic. Both had nuclear warheads on board. It also shows 6 nuclear weapons were damaged, there were 4 “unintentional” nuclear detonations, 27 fires and 8 explosions. Jeffrey: The government has acknowledge they know just one accident could end in total disaster, and while that hasn’t occurred, there has been a cost. 116 British citizens have lost their lives. And so there have been accidents that you can classify as having put the public at risk over the course of the country’s nuclear history. And it’s very thankful Caton being so close, so many times, that nothing disastrous has taken place. Caton: Right. You’re absolutely correct. And there will continue to be a risk Jeff, as we just saw last month when a test missile actually miss-fired. And the malfunction missile had to self-destruct off the coast of the United States. The details of that, however, were kept from British MPs ahead of their Trident Renewal vote late last summer which we actually spoke about in a recent news broadcast. So no doubt there may have been even more anger from ‘in the dark’ MPs following the release of this week’s report too. Jeffrey: Right and those aren’t the only ones in the dark, because they kinda keep it from the public too because it would make people very nervous if they new that. Jeffrey: In a recent interview with RT’s Sophie and Co, former US Secretary of defense William J Perry give his views on how the current administration and its access to nuclear weapons could potentially lead to. Let’s take a look at this interview. Caton: So you might be wondering what does Mr. Perry have to say about the threat of accidents that can lead to a nuclear war comparing that to times past – which there have been nuclear threats. We have just went over some accidents that took place in Britain and some other countries – but how would that compare to times past and now? Let’s continue taking a look here. Sophie Co Interview with Dr. William Perry continued. The increase in worldwide production- which is being fingered as the cause, is reportedly producing a multi-year decline in prices for key commodities such as wheat and corn. The tragic irony is that while prices for commodities are dropping, the costs for operating a farm are increasing. Even more saddening, the USDA is predicting a 9% drop in income for farmers. There is an expectation thus, that more operations will close this year, in addition to the 140,000 that have either closed or consolidated since 2007. Heartbreakingly, for the heartland, the future looks uncertain; and long-time tillers like Mr. Teske fear, that if the trend continues, America might lose an entire generation of some its hardest workers. Strangely, while prices in certain locations are reportedly rising due to an increase in food on the world markets, there are other areas where people are dying as a result of food shortages. According to UN Humanitarian Coordinator, Jamie McGoldrick, “Seven million Yeminis do not know where their next meal will come from and are even closer to salvation”. He went on to say: “[that] in a country of 27 million people, over 17 million are currently unable to adequately feed themselves and are forced to skip meals; women and girls eat the least and last”. The UN official has expressed a deep concern over the lack of peace in the region due to brawling between the Yemini government and mercenaries in its West- the cost of which has been a reduction in the number of ships and food supplies, that are able make to make their way into the nation whose economy is heavily dependent upon imports. The most alarming impact is being seen amongst those who are most helpless: according to UN figures, over 462,000 children are suffering from acute malnutrition. Mr. McGoldrick is saying at this point the conflict has reached unbearable limits, and that it is important for us to realize that enough is enough. The people of Yemen, he says, have had enough for two years; and there is only so much that a community – a family can take and endure, and people are coming to the end of that ability to sustain or continue to survive in the country. The unrest in the nation is said to have produced 4 million refugees to date. The turmoil across the broader Euphrates region: including Nigeria, Somalia, Yemen, and South Sudan; is reportedly producing malnourished children by the hundreds of thousands, who are at severe risk of death, and nine times more vulnerable than healthy children, to diseases such as measles and malaria. The latest U.N. proposition to relieve the suffering in the region is provoking an exasperated chuckle from many. The U.N. would like more money – $5.6 billion in fact, to fix the crisis. For YPN News I’m Larry McGee. Caton, Jeff…back to you. Jeffrey: Terrible situation continuing with the famines and the suffering taking place. And like they said that this generation, it’s almost hard to help them, now they’re looking at this next coming generation, how they’re suffering, and see if they can do anything about that. Caton: But it’s continuously increasing. It’s not getting any better. Well Boko Haram and its reign of terror has left in its wake plenty of damage, broken villages and devastated people. In the northeast Nigerian village, Ben E Sheik, one villager tells about Boko Haram and what they brought to their village, “Boko Haram killed people, more than 3,000 people, more than 1,000 houses gone,” he said. Boko Haram’s 7 year insurgency has also prevented the planting of crops and of course the U.N. says that close to 3 million people are facing famine at this time. Jeffrey: Along with those numbers, the U.N. estimates that over a million children suffer from severe acute malnutrition. Ugana Motu, a mother said that she and her children need food, the biggest problem we have is hunger. An international donors’ conference has pledge over $700 million over the next three years. The problem is that, for many Nigerians, that’s too long. Jeffrey: The government said that cereal prices have reached record highs in Uganda, Kenya, Tanzania, south Sudan, Somalia and Ethiopia. High food prices are making access to food difficult for many households. Children are also going without food because farmers aren’t harvesting crops, due to poor yields. Beans now cost 40% more in Kenya than they did a year ago and Uganda corn prices are up 75%. So it’s making it that much harder for people to obtain food even if they have food available. Caton: And we’re even seeing with droughts in the states a reflection of those increased prices with crops as well. Well farther east in Africa the drought conditions are even worse, with severe drought conditions reducing the available food for animals to graze along with the availability of water for them to drink and as a result in a lack of those two things those animals have reduced body mass. Jeffrey: In south Sudan, many of its people are dying of hunger but not from drought as there is plenty of fertile land. The crisis isn’t weather related but manmade due to civil war and a collapsing economy. Government leaders and the U.N. has declared famine conditions in Unity States in the north where around 100,000 people are on the verge of starvation and almost 5 million people about half the population are in need of urgent help. Caton: Now that along with around a quarter of a million children are severely malnourished. U.N. officials describe the situation as grave and it will get worse as one million more are on the verge of famine. Caton: Sadly world leaders and organizations are without answers to famine, war and disease. Their solution, just throw money at it and maybe it’ll go away. That mindset is about as beneficial as a pig’s eye. The only way to fix suffering is to go to the cause. The cause of mankind’s suffering as one said previously, is manmade. Man can’t fix it but as Yisrayl Hawkins teaches, Yahweh can, and He show us how. To find out more about he answers to all of mankind’s problems contact The House of Yahweh. And when you do so don’t forget to request your free copy of Prophetic Word Magazine and the Monthly Newsletter.